In the world of mathematics and computer science, Ada Lovelace is regarded as the world’s first computer programmer, chiefly remembered for her work on Charles Babbage’s Analytical Engine – one of the earliest mechanical general-purpose computers. Though her notes on the Analytical Engine include the first algorithm intended to be carried out by a machine, Ada’s interests in mathematics and logic were not seen as appropriate for young women during her day. Despite this, her scholarship is widely viewed as revolutionary. Ada Lovelace Day has become a global celebration of women in the intertwined fields of science, technology, engineering and mathematics (STEM). 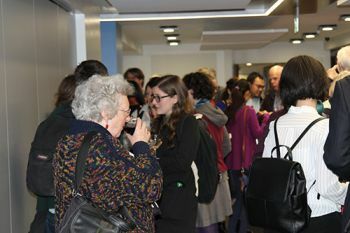 City’s Ada Lovelace celebration was chaired by Professor Lis Howell, Deputy Head of City’s Department of Journalism. Shirley Conran, a novelist, journalist and creator of the e-book, ‘Money Stuff’, said there was a general fear of mathematics among girls and women in Britain. The founder of Maths Action believes that many women have been raised with a “fixed mind-set and indoctrinated that mathematics and money-making are for boys and not girls”. She attributed this to historical gender taboos - ‘the whalebone corset attitude’ - which was “widely promoted by the church and the medical profession”. The former editor on the Observer and Daily Mail newspapers mentioned that maths anxiety, “from mild apprehension to terror”, means that “too few girls study maths after their obligatory GCSE maths exam. Many girls think they can drop this ‘nasty’ subject and forget it on the day they leave school”. She called for ‘culture change’ and hailed Ada Lovelace as “creative, proactive, diligent and tenacious”. Senior Lecturer in Mathematics in the Department of Mathematics, Dr Olalla Castro-Alvaredo, was of the opinion that “too many women are afraid of mathematics and also quite a few men”. Dr Castro-Alvaredo drew on the experiences of her mother to illustrate that numeracy is an essential life skill. Her mother was unable to benefit from a secondary school education, but her firm grasp of arithmetic fundamentals ably assisted her in running a household, earning a means of livelihood and successfully managing the construction of the family home. 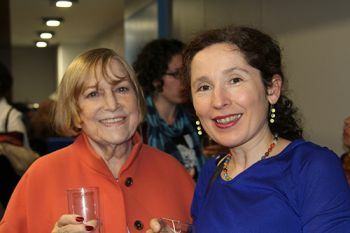 To read Dr Olalla Castro-Alvaredo's and Shirley Conran's presentations in their entirety, please visit this weblink.